London is an international city attracting people from across the globe. This is not new and the capital has a long history of migration, contributing to its rich and diverse history, as well as its wealth. 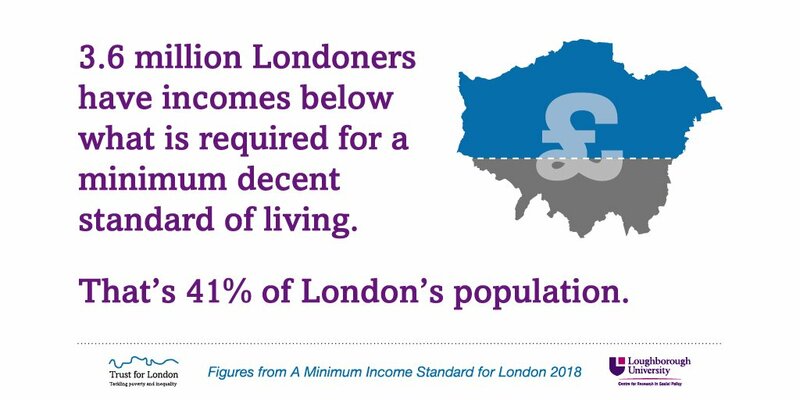 Many new Londoners do not need any support but there are some who are disadvantaged and living in poverty, particularly migrants who do not have any legal status and are therefore highly vulnerable to exploitation. We believe it is important to support these Londoners who are at the margins of society to resolve their immigration status, so they can fully participate in London life. in areas of law that fall outside of legal aid. Organisations will be expected to be registered with the Office of Immigration Services Commission (OISC) or Solicitors Regulatory Authority and be providing advice at OISC Level 3 or equivalent. We are also keen to fund partnerships between frontline organisations (supporting refugees and migrants with insecure status) and specialist legal advice providers. Promoting an immigration system that treats people with dignity and respect; that is fair to both migrants and established residents; and has public confidence and consent. Improving understanding of public attitudes on migration including the accuracy and depth of conversations about migration, integration and identity. Creating more effective pathways to settlement, including citizenship. Challenging exploitation and discrimination of migrants due to their insecure immigration status.